Last week the South Korean giant Samsung officially announced that it will hold its Galaxy Unpacked on February 20, 2019, to launch its latest Galaxy S10 X device. Samsung is also expected to announce its first foldable smartphone at the same event, called the Galaxy F. Now just ahead of its official launch the upcoming Foldable Galaxy F device has received approval from China’s Ministry of Industry and Information Technology (CMIIT) in China. As first spotted by folks at nashvillechatterclass, the first Samsung Foldable Galaxy F device appears on the CMIIT with the model number (SM-F9000). We had heard previously that Samsung has been testing several models of its upcoming Galaxy F device for the U.S., European and Asian markets with model numbers SM-F900U, SM-F900F, and SM-F900A. The CMIIT approval, however, didn’t reveal more details about the upcoming devices but what we have learned from earlier leaks and rumors, the upcoming Galaxy F foldable smartphone will be coming with Snapdragon 855. There will be 512 GB of native storage on the device. 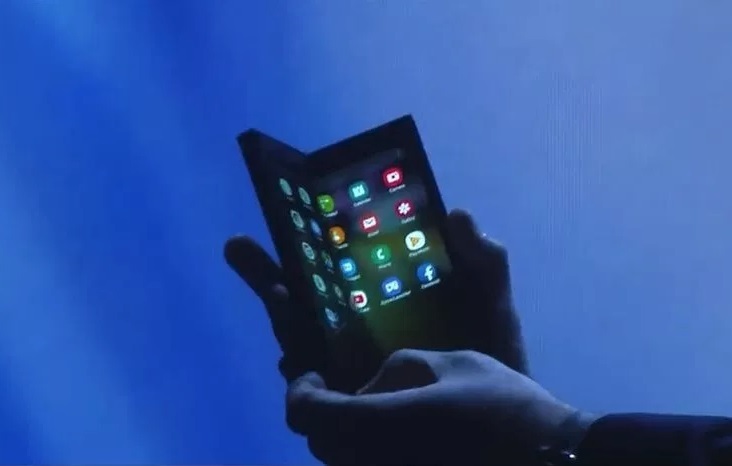 The Galaxy Fold foldable smartphone is expected to feature a 7.3-inch Infinity Flex Display which can also be accessed when unfolded. The phone will also feature another display of 4.6 inches. Reports have also suggested that the Galaxy F device will be fueled by a 6,000 mAh battery.